The mattress fabrics market is constantly evolving. Price is no longer the decisive factor. Today innovation and technical characteristics make the difference. The fabrics, both jacquard and knitted, must be soft to the touch, elastic, comfortable but above all able to adapt to the body and its needs. The demand is therefore increasingly oriented towards high quality products, able also to guarantee a longer life of the mattress. 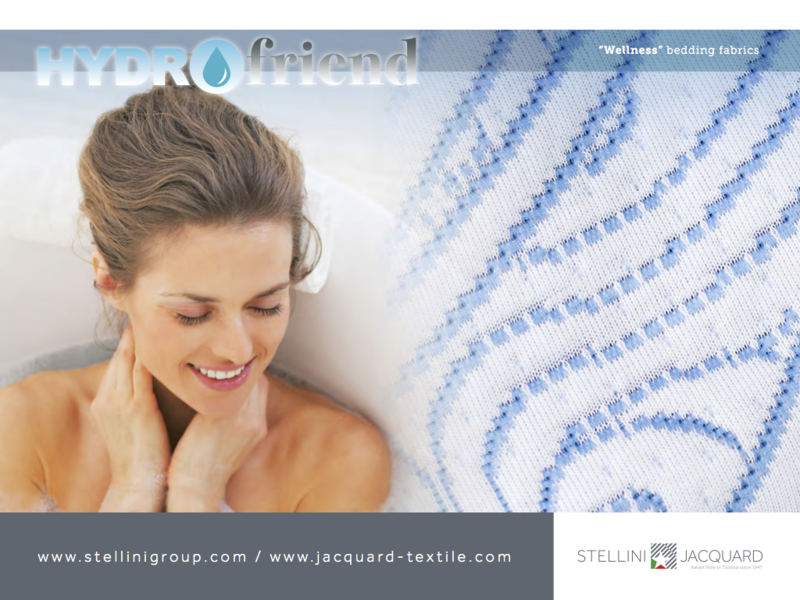 Hydrofriend, a special finish which gives mattress fabrics technical characteristics able to make the difference such as the capacity to rapidly absorb moisture, or the anti-static and anti-pilling effect, is the answer to this need. Hydrofriend, more hygiene and maximum comfort.